Iowa Gov. 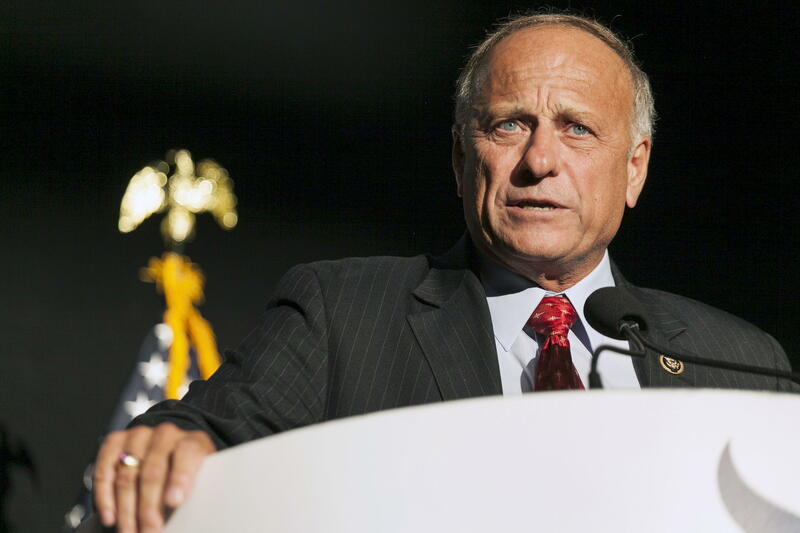 Kim Reynolds has criticized Rep. Steve King for controversies about his views on race and ties with people linked white nationalism, CBS affiliate KCCI Des Moines reports. Both Reynolds and King are Republicans. "I think that Steve King needs to make a decision if he wants to represent the people and the values of the 4th District or do something else, and I think he needs to ... he needs to take a look at that," Reynolds said at an event Tuesday in Ottumwa, Iowa. Reynolds' criticism comes after The Weekly Standard released a tape last week that they say shows King, an eight-term congressman who won re-election last week, calling immigrants "dirt." King said the video was taken out of context, and called it a "leftist lie." The Weekly Standard is a conservative magazine. John Kennedy, King's spokesperson, said to KCCI in a statement, "Congressman King loves Governor Reynolds, is thankful to her for signing his Heartbeat Bill into law and notes that they are birds of a feather because they won by similar margins." Before last week's elections, King faced criticism for retweeting a British neo-Nazi and endorsing a white nationalist Toronto mayoral candidate. He denies supporting white nationalism. Several of King's corporate contributors said they'll no longer donate money to him. Purina Petcare, part of Swiss-based food conglomerate Nestlé S.A., followed Land O'Lakes and Intel in vowing to end campaign contributions to King.